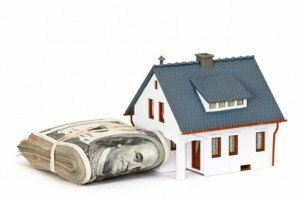 If you are searching for investors who buy homes in South Philly then you are in the right spot, because our company Rapid Home Liquidation buys houses fast for cash in as little as one week, and you will not have to pay any listing fees, closing costs, repair costs, or other out of pocket, up front expenses. We are an alternative real estate solutions provider, and our home buying program may not be a good fit for every situation. We are only looking to match up with home sellers where we can find a win-win situation and alleviate financial stresses by purchasing their home quickly for cash at a certain discounted rate. If we are unable to make something work, there’s no need to force it, and you can simply take our offer at face value and move on to your other options. We are a good fit for people who simply want to get rid of a problematic property, and they no longer want the headache of dealing with it. Basically, the best way to find out if our home buying program will work for you is to talk to us directly, and get a risk free, no obligation, fair cash offer on your property. You can call or text us at (215) 882-9828 to speak with one of our home buying specialists right now!